Join a dynamic team of teen youth volunteers at Minnesota Children’s Museum! Play! Spend your time playing with children in the museum galleries. You’ll volunteer with other high school students from around Minneapolis-St. Paul and meet lots of new people. Learn! Gain experience working with children and develop your teamwork, communication and leadership skills. This is a great way to build your resume for scholarships, college applications and future employment. Serve! Support your community and the families who visit the museum with playful learning experiences by giving your time. You’ll be a positive role model and make an impact on the lives of thousands of children. Eligibility: The Play Team is open to students in 9th through 12th grades. Summer Play Team: Members choose two week-long and two weekend commitments from June through August. School-Year Play Team: Members choose 10 shifts on weekends and academic breaks from November through May. Visit the Museum on April 13th or May 4th, meet current Play Team members, and learn more about our summer volunteering program. Reserve your place. Students entering 9th through 12th grades are encouraged to apply for the summer Play Team term. Get started on your application today. Applications are due May 17, 2019. Questions? Call 651-225-6046 or email us. Our Play Team program was honored as a finalist in 2016 and 2017 through the National Arts and Humanities Youth Program Awards. These awards recognize outstanding after-school and out-of-school programs that are transforming the lives of young people. 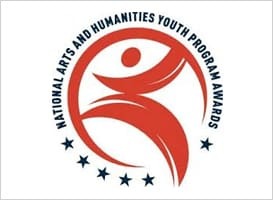 Programs that receive the award exemplify how arts and humanities programs outside of the regular school day enrich the lives of young people throughout the country by teaching new skills, nurturing creativity and building self-confidence. These programs offer high-quality and intensive instruction on weekends, afternoons, and summer vacations, providing a safe and productive space for young people in the hours when they are often the most vulnerable. Minnesota Children’s Museum is recognized as one of 50 outstanding programs in the field of Creative Youth Development across the country for our work in providing excellent arts and humanities learning opportunities to young people. Minnesota Children’s Museum strives to support youth from underrepresented communities: 40 percent of Play Team members participate in a free and/or reduced price meal program at school, 85 percent identify as female or nonbinary/third gender and 70 percent are youth of color. Play Team, one of the best decisions I´ve ever made.